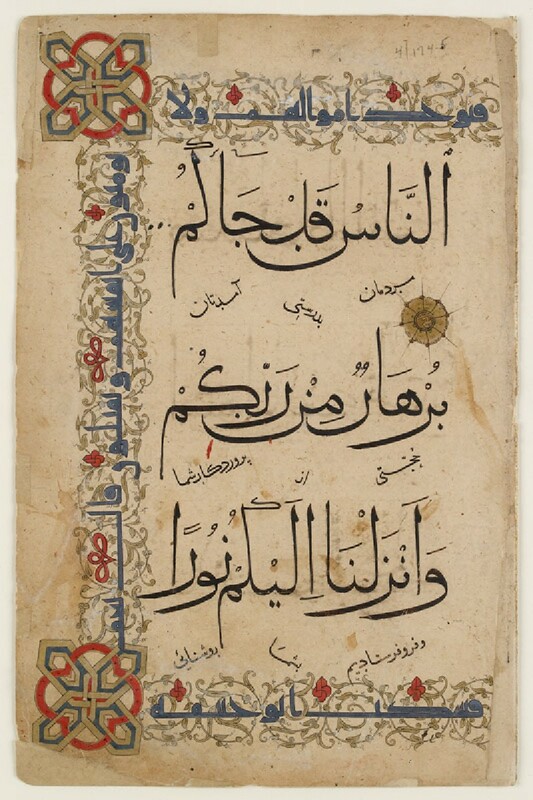 Multi-volume Qur’ans with three or five lines of cursive script per page such as this (Qur’an, 4:174) appear to have been produced in Anatolia in the decades following the Mongol invasion and the conquest of Baghdad, which occurred in 1256. 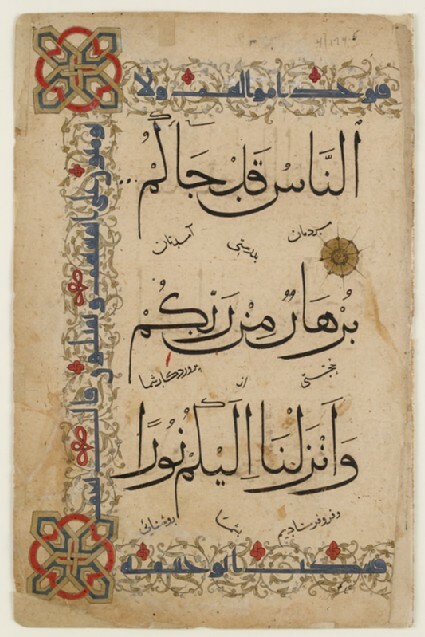 At the same time, the inclusion of a Persian translation underneath each verse indicates that this copy was intended for a Persian-speaking user, suggesting Iran as an alternative place of production. 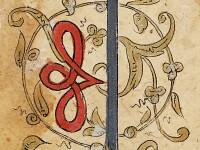 Framing the text block is a decorative band in kufic featuring excerpts from hadiths, wise sayings attributed to the Prophet Muhammad, that proclaim the virtues of reciting the Qur’an.